Please click on the link below to access our autumn term learning objectives. Walking Through the Jungle, by Julie Lancome. 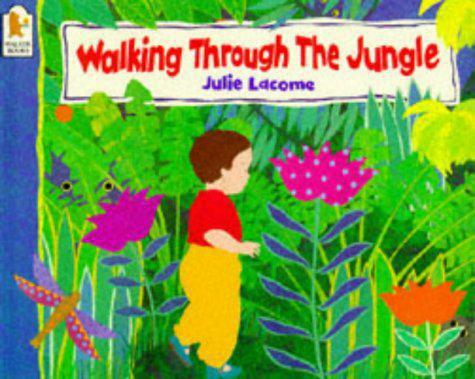 For the first half of the autumn term, our focus book will be Julie Lancome's 'Walking Through the Jungle'. This classic children's book encourages children to build up their vocabulary bank through taking part in the story's repeated refrains. It can be sung along to aswell! Brown Bear, Brown Bear and Polar Bear Polar Bear, by Eric Carle. As the cold weather sets in and we start to look forward to the festive season, we shall foucus on the work of Eric Carle though his books 'Brown Bear, Brown Bear' and 'Polar Bear, Polar Bear'. Both of these stories encourgae the children to use their senses in order to learn about the colours and sounds that are attrinbuted to different animals, they are also fabulous when retold by the children!